Bio : Andrew Bartos attended Drexel University, Philadelphia, Pennsylvania majoring in Architecture, and studied with Myron Barnstone at his studio in Coplay, PA. Pastel artist Jacqueline Meyerson introduced him to the medium of pastel. 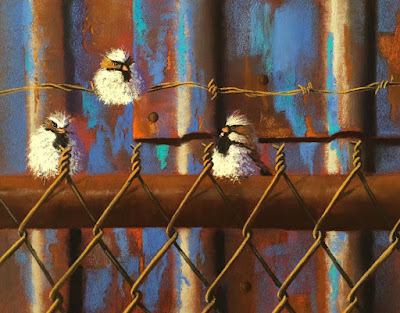 Andrew is an associate member of the Pastel Society of America, Lehigh Art Alliance, Bethlehem Palette Club and the Lehigh Valley Arts Council. Andrew exhibits regularly in local and regional juried exhibitions. Several publications have included his work including the Pastel Journal, The Artists' Magazine and The Classicist. Andrew’s drawings and paintings are part of private and public collections throughout the United States and overseas. Andrew lives with his wife and some felines in Whitehall, PA. He comments that they share their home with a handful of cats whom have all served as ready subjects - "not willingly, of course, but they are a constant source of affection, scratches and inspiration. " Subjects: "My work covers a wide variety of subjects. What most interests me are the arrangement of elements, the composition(s) they create, and the shapes that are produced when light is brought into the equation"
Style: Andrew has an eye for visually striking arrangements. His work invites viewers to observe the extraordinary elements that can be found within the context of everyday scenes. Navigation: Straightforward, with need of the back-button at gallery level. 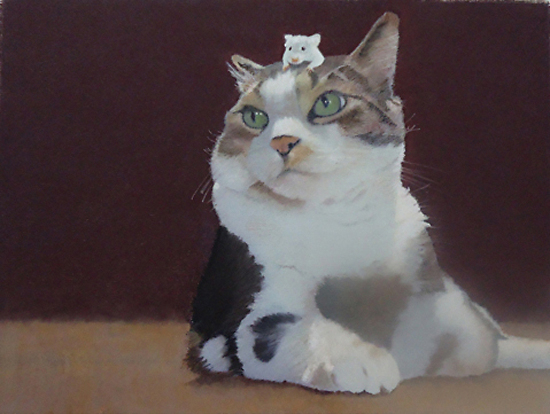 Gallery: Still Life; Portraits; Pets and their People; Animals/Wildlife; Drawings/Illustrations . Image View: Thumbnails enlarge in a viewer and may be scrolled. Paintings are labelled, and may be saved. Truce is 12 x 9 ins, 550 x 414, 203 KB. Bio : Anna Wainright graduated from Rutgers with a B.A. in urban planning; then an A.A. from Brookdale, CC in Graphic Design. She is a self taught Pastellist, having taken workshops and private lessons with Master Pastellists Brooke Allison, Richard McKinley, Stan Sperlak, and the late Marge Levine. A Master Circle member of the International Association of Pastel Painters (IAPS), Anna is also a Signature Member of the Pastel Society of America, the Pastel Society of New Jersey, Pastel Painters Society of Cape Cod and Signature/Emeritus Pastel Society of Tampa Bay. 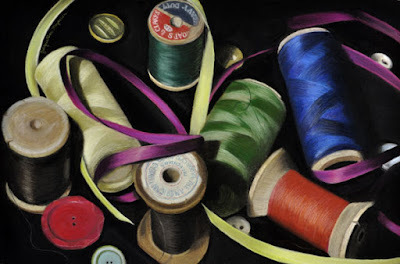 She is also a member of Connecticut Pastel Society, Pastel Society of West Coast, and American Impressionists Society. Anna Wainright has won numerous awards for her work, including the Jack Richeson Bronze Award and competition honours in the Pastel 100 in 2011, 2014, 2015, & 2016. Anna was the subject of an in-depth article in the 2016 January/February issue of the Pastel Journal. Subjects: Landscape. Anna works from memory with the help of photographic references. Style: Since her artistic influences are all of them Impressionists - Whistler, William Turner, George Innes, Winslow Homer, and John Singer Sargent – it’s not surprising that Anna’s paintings are moody and impressionistic. Her work carries on a tradition that goes all the way back to the celebrated master James Abbott McNeill Whistler (1834-1903), considered to be the founder of Tonalism, the evocative influence of which is strongly present in Wainright’s work. Gallery: Pastel and Oil Paintings Portfolio. Image View: Thumbnails enlarge in a viewer and may be scrolled. Paintings are labelled with both medium or dimension, and may be saved. Mist on the Field is 16 x 20 ins, 50 x 439, 247 KB. 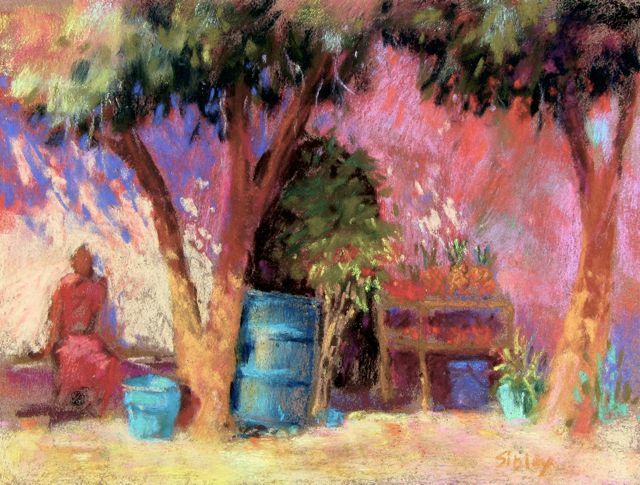 Bio: Gail Sibley was born to artistic parents, and brought up in Kingston, Jamaica. Her colourful palette must have been influenced by her Caribbean childhood. Gail completed a BFA (Honours) at the University of Manitoba, did Graduate Studies in Art History at Queen’s University, and received her MA in 1989. She settled in British Columbia on Canada’s west coast in 1994. Style: Representational in a colourful expressionist style. Image View: Thumbnails enlarge on new page. You need to use the back arrow to return to the gallery. Paintings are not consistently labelled with either medium or dimension. Demo: Yes, on YouTube – Google her. Bio: According to her Facebook page, Natasha Isenhour is listed as Owner at N. Isenhour Studio, LLC, in Socorro, New Mexico; and on the Faculty in Fine Arts Department at New Mexico Institute of Mining and Technology ; and Independant Contractor at Jack Richeson & Co. In 2013 Natasha Isenhour was invited for her second year as an artist mentor for ARTfeast Santa Fe, and was also asked back for a second year as Artist in Residence at the Inn At Loretto in Santa Fe. 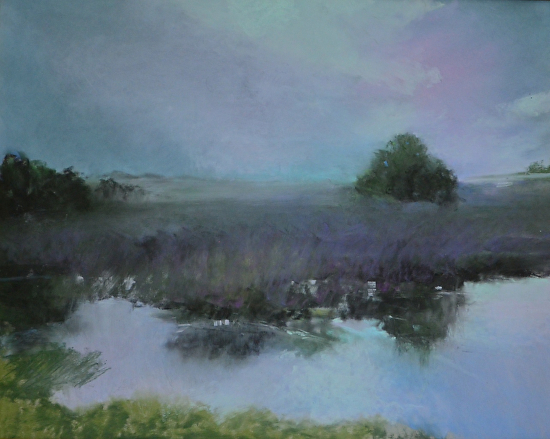 Isenhour was elected President of the Pastel Society of New Mexico for 2013. She is an active member of the following organizations: Oil Painters of America; American Women Artists; Pastel Society of New Mexico; Plein Air Painters of New Mexico. Her work is in collections in the United States, Paris and Dubai, United Arab Emirates. Her work has been exhibited internationally in London, the Czech Republic, and Florence, Italy. Natasha also writes on art matters, and published a piece on John Philbin Dolan (qv) in the June 2015 issue of the Pastel Journal. Portfolio: Oils; Pastels; Painted horses and guitars; Archive. Image View: Thumbnails enlarge on new page and may be further zoomed, and saved. Morning Blues is 14 x 11 ins, 425 x 550, 161 KB.